Rina Banerjee, The world as burnt fruit—When empires feuded for populations and plantations, buried in colonial and ancient currency a Gharial appeared from an inky melon—hot with blossom sprang forth to swallow the world not yet whole as burnt fruit, 2009. Fans, feather, cowrie shells, resin alligator, skull, globe, glass vials, light bulbs, gourds, steel wire and Japanese mosquito nets, 90 × 253 × 90 inches. Kiran Nadar Museum of Art, New Delhi, India. Rina Banerjee, Winter’s Flower—Raw materials from sea and from foul and even from some exotic mice was eaten by a world hungry for commerce made these into flower, disguised could be savored alongside whitened rice, 2010. Oyster shells, fish bone, thread, cowrie shells, diety eyes, copper trim, ostrich egg, epoxy American buffalo horns, steel, fabricated umbrella structure, steel stand, pigeon feather fans, 21 5/8 x 61 x 78 3/8 inches. Trioche DeLeon Collection and Art Vantage PCC Ltd, Basel. Rina Banerjee, Lentil flour, chickpeas mixed fermented friedballs presented in the leaf of bananas could cure the hunger of a laboring man, 2008. Shells, plastic, gourds, and nylon hair, 47 1/4 x 31 3/8 x 51 inches. Courtesy of the artist and Galerie Natalie Obadia, Paris/Brussels. 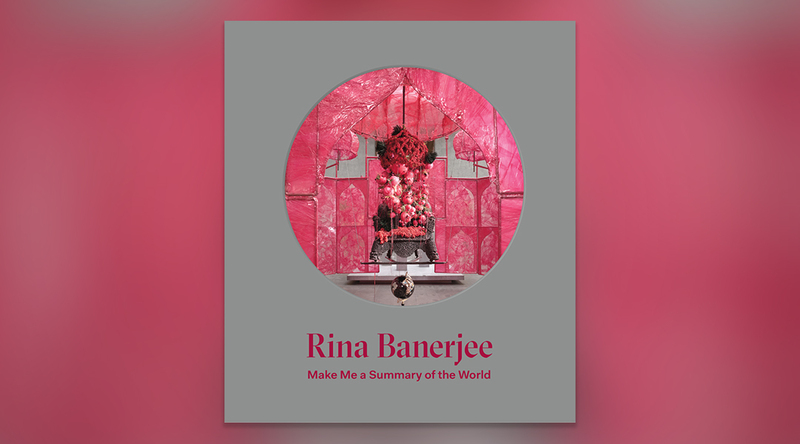 Rina Banerjee, Make me a summary of the world! She was his guide and had traveled on camel, rhino, elephant and kangaroo, dedicated to dried plants, glass houses—for medical study, vegetable sexuality, self-pollination, fertilization her reach pierced the woods country by country, 2014. Wood rhino, Chinese umbrellas, sea sponges, linen, beads, pewter soldier, grape vines, glass chandelier drops, acrylic horns, wire, nylon and bead flower, 7 x 4 ft. Courtesy of the artist and Galerie Natalie Obadia, Paris/Brussels. Rina Banerjee: Make Me a Summary of the World is the first mid-career retrospective of the artist’s work. 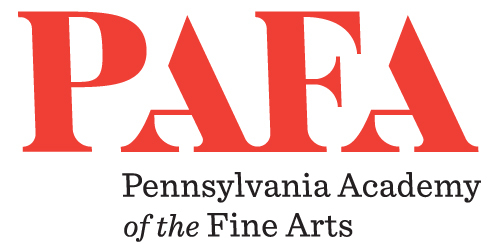 Co-organized by the Pennsylvania Academy of the Fine Arts, Philadelphia, and San José Museum of Art, the exhibition presents almost twenty years of Banerjee’s large-scale installations, sculptures, and paintings—including a re-creation of her work from the 2000 Whitney Biennial; sculptures featured in the 2017 Venice Biennale; and recent work for the Prospect 4 New Orleans biennial. Banerjee creates vivid sculptures and installations made from materials sourced throughout the world. She is a voracious gatherer of objects—in a single sculpture one can find African tribal jewelry, colorful feathers, light bulbs, Murano glass, and South Asian antiques in conflict and conversation with one another. These sensuous assemblages reverberate with bright colors and surprising textures present simultaneously as familiar and unfamiliar. Rina Banerjee: Make Me a Summary of the World focuses on four interdependent themes in Banerjee’s work that coincide with important issues of our time: immigration and identity; the lasting effects of colonialism and its relationship to globalization; feminism; and climate change. A full-color, 160-page catalogue was co-published by SJMA and Pennsylvania Academy of the Fine Arts, Philadelphia, on the occasion of this exhibition. It illumines the crossover contexts in which Banerjee works—as an American artist, a native of India, a global citizen, and a feminist. It includes full color illustrations, a detailed chronology of the artist’s life and work, and essays by co-curators Lauren Schell Dickens (SJMA) and Jodi Throckmorton (Pennsylvania Academy of the Fine Arts); Rachel Kent, chief curator at the Museum of Contemporary Art, Sydney; and writer Allie Biswas. $45, available for purchase at the Museum Store. Born in Calcutta, India in 1963, Banerjee grew up in London and eventually moved to New York. She received her BS degree in Polymer Engineering at Case Western University in 1993 and took a job as a polymer research chemist upon graduation. She left the science profession to receive her MFA from Yale University in 1995. Banerjee’s work has been exhibited internationally, including but not limited to New York City; Paris; London; Tokyo; Los Angeles; New Delhi; Milan; Singapore; and notably an installation at the Smithsonian in Washington, DC in 2013. The artist’s works are also included in many private and public collections such as the Whitney Museum of American Art, New York City; San Francisco Museum of Modern Art; Centre George Pompidou, Paris; Pennsylvania Academy of the Fine Arts, Philadelphia; Queens Museum, New York City; and the Brooklyn Museum, New York City. Her work was recently featured in Viva Art Viva at the 2017 Venice Biennale and Prospect.4 in New Orleans. Rina Banerjee currently lives and works in New York City and Philadelphia. Exhibition co-organized by the Pennsylvania Academy of the Fine Arts, Philadelphia, and San José Museum of Art. Sponsored by The Andy Warhol Foundation for the Visual Arts, the Richard A. Karp Charitable Foundation, the Lipman Family Foundation, Tad Freese and Brook Hartzell, Marsha and Jon Witkin, Melanie and Peter Cross, Hosfelt Gallery, Cheryl and Bruce Kiddoo, McManis Faulkner, Latham & Watkins, Shruti and Pawan Tewari, Peggy and Yogen Dalal, Elaine Cardinale, and Lisa and Keith Lubliner. Additional support provided by Leela de Souza Bransten and Peter Bransten, Lucia Cha and Dr. Jerrold Hiura, Christie’s, Glenda and Gary Dorchak, Pamela Hornik, Wanda Kownacki, Elena Lebedeva and Alvin Smith, Rachel and Simon Segars, and Sotheby’s. 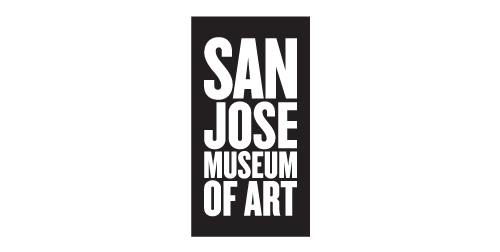 Supported, in part, by a Cultural Affairs grant from the City of San José. The catalogue is supported by Hosfelt Gallery, San Francisco, CA, and L.A. Louver, Venice, CA. Programs at SJMA are made possible by generous support from a Cultural Affairs Grant from the City of San José, The Lipman Family Foundation, Yvonne and Mike Nevens, The David and Lucile Packard Foundation, and the San José Museum of Art Endowment Fund established by the John S. and James L. Knight Foundation at the Silicon Valley Community Foundation. Creative Minds (May 15, 2019): Sponsored by Christie’s and Bay 101. Explore Rina Banerjee’s use of material in the Koret Family Gallery’s interactive Art Learning Lab where you will make observations, ask questions, and participate in creative experimentation.